On Monday, Epic Games reported that its internet forums had been compromised. 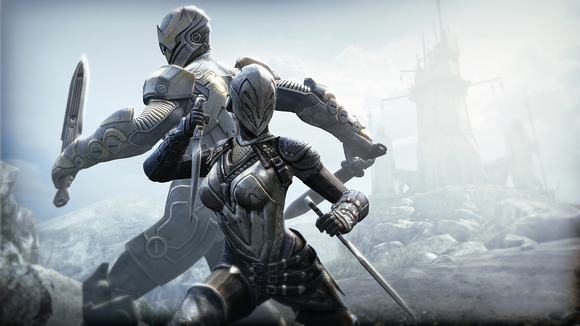 The leaked data includes email addresses and hashed passwords taken from legacy forums at Infinity Blade, previous Unreal Tournament games, and an archived Gears of War forum. Epic Games declined to explain how the leak occurred, but a website that stores information on data breaches said hackers were responsible and that 808,000 users are affected. The anonymous attackers targeted the vBulletin forum software on Aug. 11, according to the website Leaked Source, which has been in contact with the hackers. It was done by exploiting an SQL injection vulnerability that vBulletin patched back in June. The hackers then supplied Leaked Source with a copy of the stolen data. Although the stolen passwords may not be crackable, the hackers still came away with other information including usernames, IP addresses, and birthdays, Leaked Source said in an email. The breach underscores the need for companies to quickly update their software and to test them for vulnerabilities, security firms said on Tuesday. SQL injection attacks have been around for more than a decade, but they still remain a problem, said John Smith, a principal solution architect at Veracode. The company has found that one in five enterprise applications had at least one SQL Injection vulnerability. IT administrators may face a challenge patching every bit of old software they run, but they still need to develop processes to ensure that everything is up to date, said Deral Heiland, a researcher at Rapid7. “Although Epic claims that most of the password hashes are not easily cracked, it’s important for users to remember that with motivation and time nothing is impossible,” he said in an email. The danger is that users may have used the same passwords across multiple internet accounts. “If you have been active on these forums since July 2015, we recommend you change your password on any site where you use the same password,” Epic Games said on Monday. The company said its current Unreal Engine and Unreal Tournament forum were also breached, but no password data was stolen.